Brighton is live and vibrant. Situated an hour away from London, it is easily accessible for both state sides and Europeans. 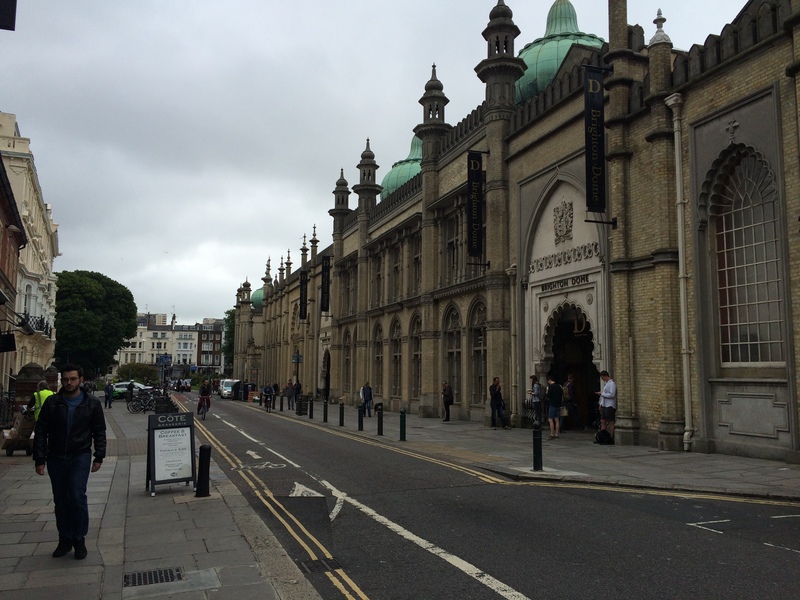 We visited the town to attend the Brighton Ruby Conference, a pretty fresh event with short history, organized by Andy Scroll from the small development studio Good Scary. The conference, the talks, and the speakers were great, but, as nerdy as we might be, we still wanted to see the outside world too 🙂 And there was a lot to see! 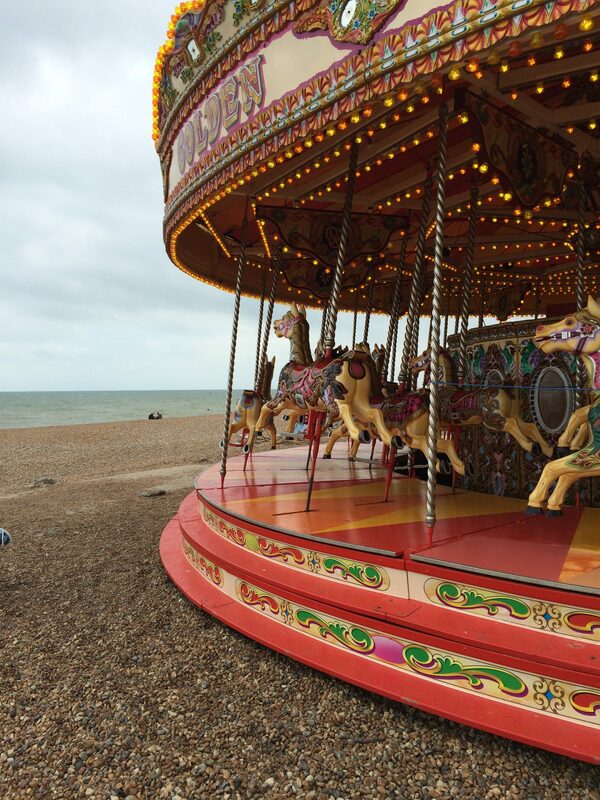 Walking down the lovely traditional British alleys felt like walking in Sherlock Holmes’ shoes, maybe I should get a pipe…,wait a minute, what is this?- a beautiful beach with a carousel. 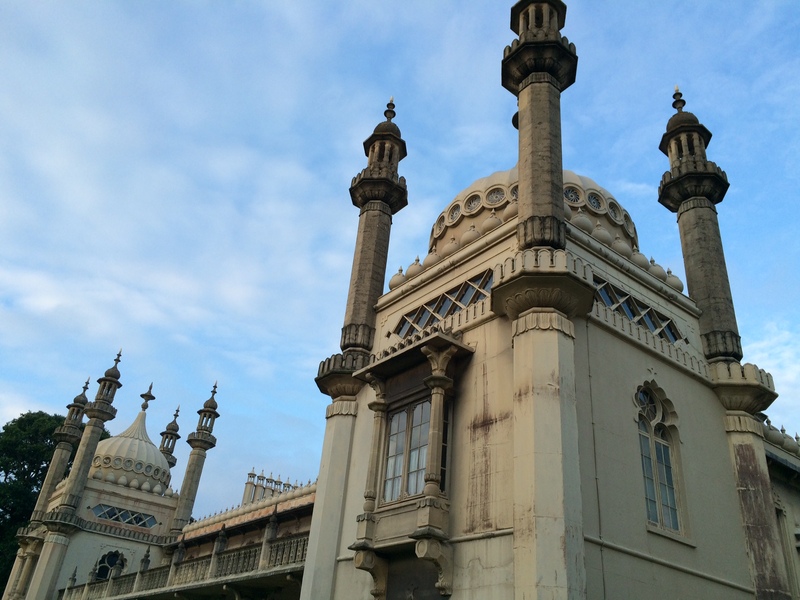 And last, but definitely not least, probably the most extraordinary place to visit in Brighton is the Royal Pavilion, a royal palace inspired by Indian architecture. Brighton Beach. Who wants a ride? Enough with the fun, let’s get back to business. Brighton Dome is the place where ABBA won the Eurovision Song Contest in 1974 and also the place to host the conference. 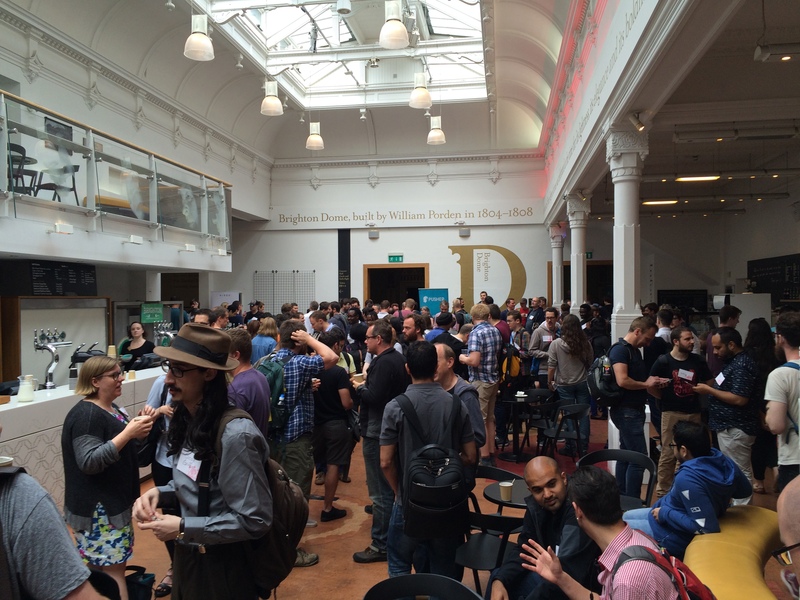 The dome was built in 1803 and provided a really stylish venue for the attendees. 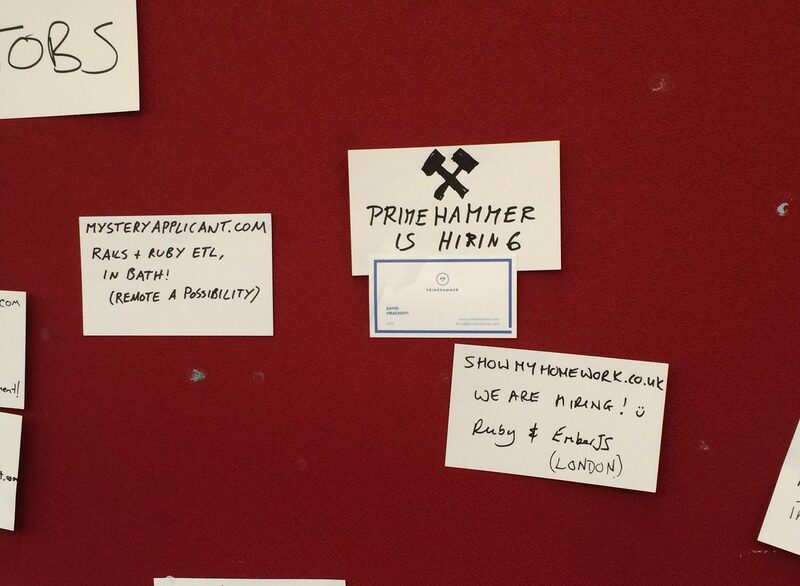 Free drinks everywhere and back in the main hall- a job board to post a sticker with a development role if you wish. Great idea! Rails 5 features you haven’t heard about / Sean Griffin Sean Griffin works full-time in Shopify, primarily on open source projects so he walked us through some of the new features of Rails 5. One of the top features we are excited about is the OR operator in ActiveRecord relations that we’ve been waiting for years. Check http://brightonruby.com/ to see if the video is already available. The Point of Objects / John Cinnamond John gave an interactive talk during which he was developing a small feature, refactoring in real-time, evaluating pieces of code in emacs. We really enjoyed it. 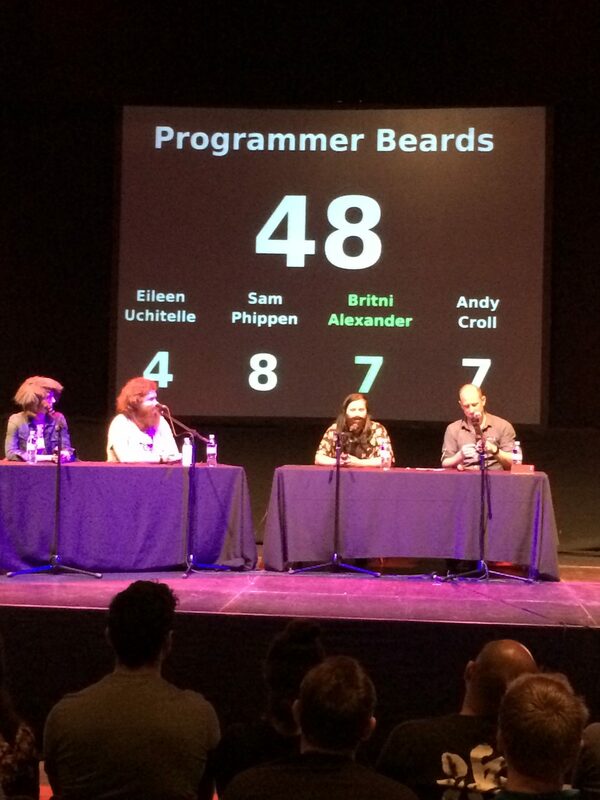 Check http://brightonruby.com/ to see if the video is already available. Well prepared presentation aiming at a broad audience on the most common security attacks such as CSRF, XSS and how everybody can avoid that in Rails. Eileen demonstrated the attacks using a fictional website called Dogbook that closely resembled Facebook:) Watch the video here. 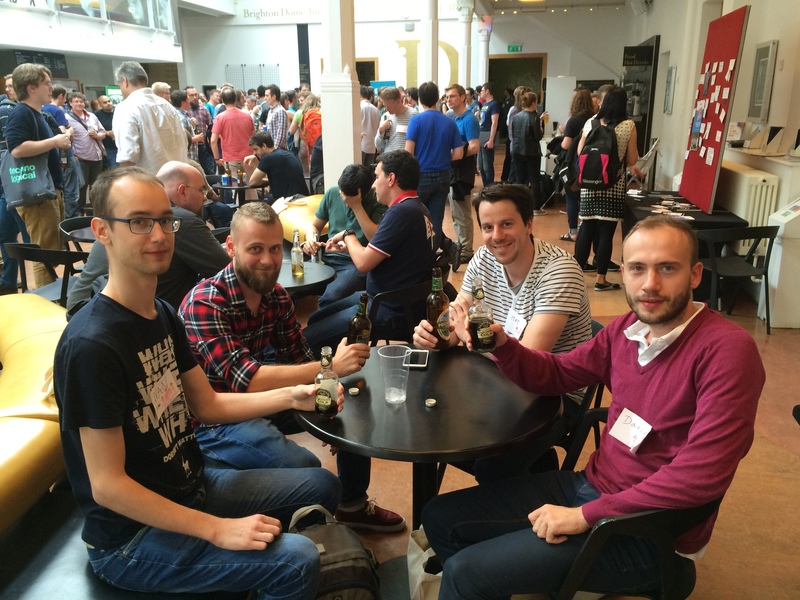 We didn’t win the Samsung S6 + HTC Vive ;( but the conference was great. 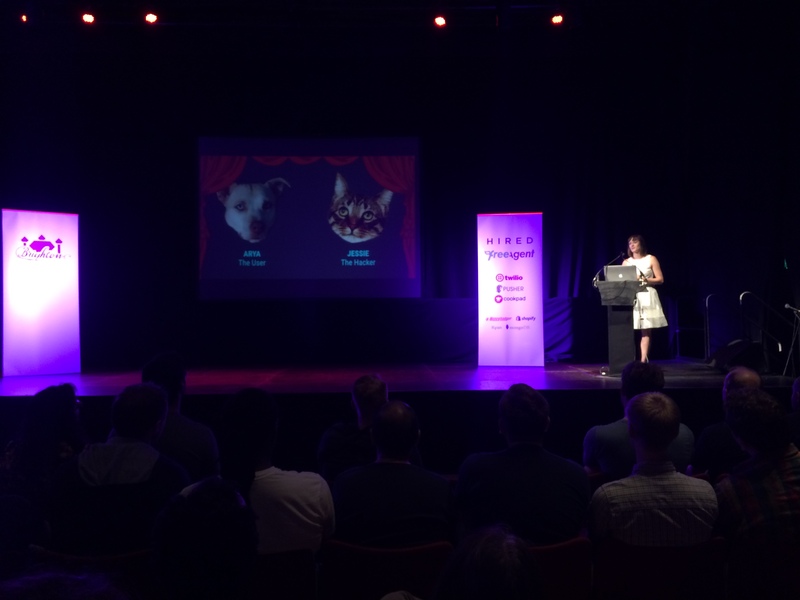 Don’t forget to visit Brighton Ruby website to watch videos from the other talks too. Together with the beautiful town, awesome organizers, and reasonable ticket price it makes it one of the top notch Ruby conferences in Europe. 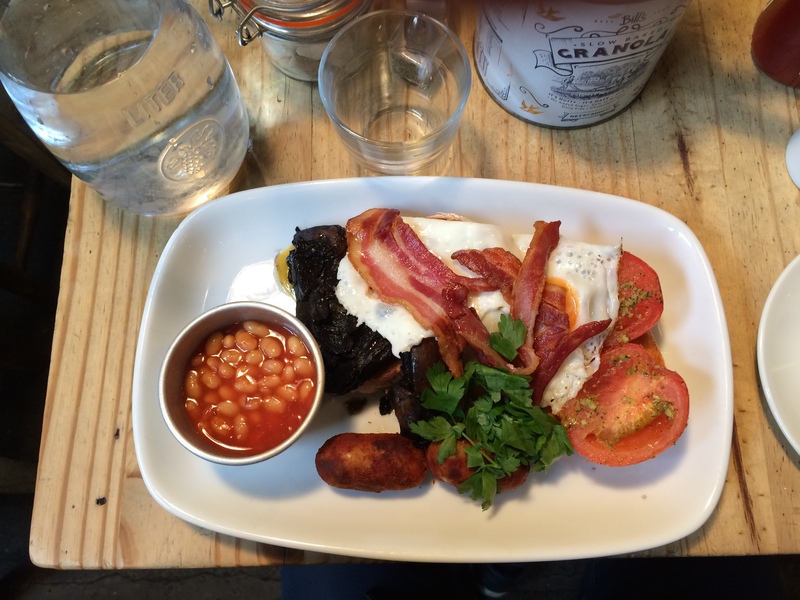 Skipping the English breakfast in the UK would have been a sin.